Female artists take centre stage at Art Paris (4-7 April) this year thanks to Camille Morineau, founder of AWARE: Archives of Women Artists Research and Exhibitions, proposing a path of 25 artists at participating galleries. The initiative has given the fair, featuring 150 galleries from 20 countries, a welcome boost. But some exhibitors lament that the overall, heterogeneous quality still needs to be improved and the identity strengthened. “Galleries that weren't invited by us have also chosen to show women artists, so we have a very feminine and feminist fair and the rediscovery of women artists goes beyond our simple choice of names,” says Morineau, who is also director of the Monnaie de Paris. Morineau collaborated with a team at AWARE, including Hanna Alkema (head of its research programme) on four themes of women artists in France: abstraction, feminist avant-garde, image and theatricality. “Camille Morineau's proposal convinced me to participate for the first time but some of the galleries are too commercial and unacceptable for an institutional place like the Grand Palais,” Jérôme Poggi says. The Paris-based dealer is presenting Sophie Ristelhueber's photography alongside Anna-Eva Bergman's abstract paintings. 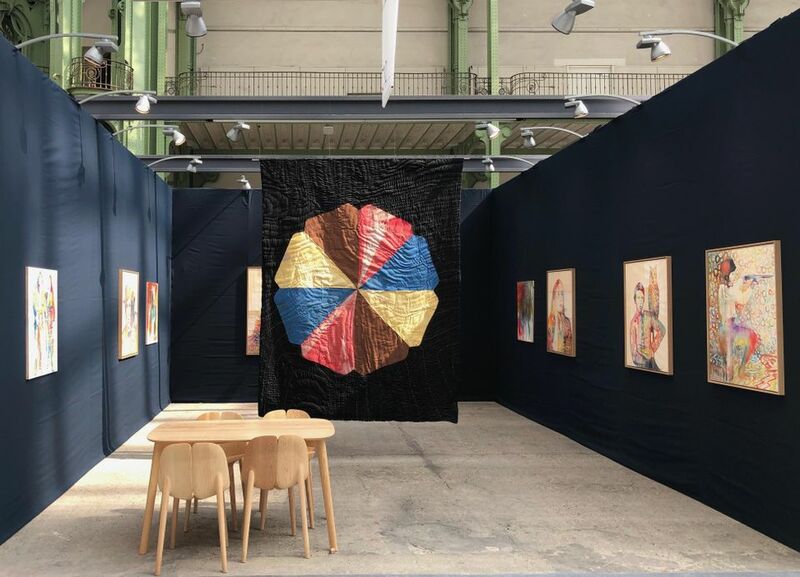 “Art Paris has international participants but a French public; there's plenty of space for better galleries but this idea of inviting a curator to invite galleries goes in the right direction,” says Olivier Antoine, the director of first-time exhibitor Art: Concept that has sold a pastel painting, priced at €14,000, from its black-curtained Ulla von Brandenburg solo show. The 25th edition of the fair also has a focus on Latin American art, curated by Valentina Locatelli, which includes a selection of works by female Latin American artists from Catherine Petitgas's private collection, such as a vibrant painting by Brazilian artist Beatriz Milhazes. Among the highlights in the main section are the French artist ORLAN's show at Galerie Ceysson & Bénétière, Marinette Cueco's vegetal assemblages at Galerie Univer/Colette Colla and Malgash-born, Paris-based artist Malala Andrialavidrazana's show at Caroline Smulders. 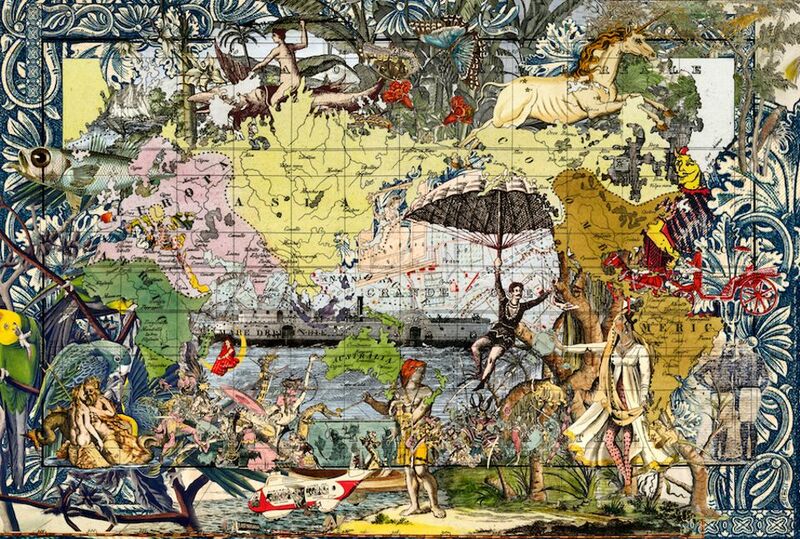 The latter features digitally collaged and over-painted works (one of which has sold, priced at €17,000) that take maps and bank notes as a starting point to revisit the colonial period's visual heritage. “I recompose and reinvent history to give more perspectives on powers outside politics and a rebalance between men and women, North and South, tradition and modernity,” Andrialavidrazana says.